In 2008, AC/DC went on a North American tour in support of their Black Ice album. Opening this tour was Northern Irish hard-rockers The Answer, a band that upon a Google search was hailed as “The Irish Led Zeppelin.” I downloaded some of their songs, most notably “Highwater or Hell” from their Never Too Late EP. They definitely did have a bunch of Zeppelin-isms, chunky guitar riffs, a yelping lead singer, and a powerhouse rhythm section. For someone who’d yet to get jaded from almost all opening bands, The Answer seemed like a godsend. Of the three big arena concerts I’d been to, The Answer was easily the best opening act I’d ever seen. I listened for The Answer for about a year after that show, because why wouldn’t I? Led Zeppelin was my favorite band, and there was little sign they were ever reuniting. Here I had a near perfect sound-alike that I also enjoyed. A few artists manage to stir up similar feelings: young bands like Wolfmother, Jet, Alter Bridge, as do some newer supergroups formed by older rockers: Black Country Communion, Adrenaline Mob, or Hellyeah. Artists that pay tribute to older music are nothing new, and some are actually somewhat innovative in their modern classic rock (see: The Darkness, Steel Panther), but now we have Greta Van Fleet: a breakout sensation that sounds a little too much like Led Zeppelin. Greta Van Fleet are not a bad band by any stretch of the imagination. They can shred with the best of them, and frontman Josh Kiszka’s voice is a dead ringer for Robert Plant. Additionally, he’s a really handsome frontman. He doesn’t look like he would tell you he grew up in the wrong era. He looks like he was plucked from a boy band. He and his long-haired brothers dress with 70’s influence, but they seem more in step with modern fashion. This is all to say that at a glance, this doesn’t seem like a band out of time. These are four young men who enjoy and pay homage to their classic rock elders while trying to sculpt an image for themselves. Unlike Wolfmother, The Answer, or The Darkness, Greta Van Fleet sound exactly like Led Zeppelin with no spin of their own. From Josh Kiszka’s voice down to Danny Wagner’s Bonham-mimicking drums, GVF sound like a Led Zeppelin tribute band playing original songs. The dancing pomp of “Highway Tune” is a perfect pastiche of Zep. The rhythmic shredding reminiscent of “Misty Mountain Hop,” production echoing that of “Whole Lotta Love,” and Kiszka’s pronunciation of “mama” make this sound like it was taken off Coda. While the vocals are what get brought up most in comparison to Led Zeppelin, Jacob Kiszka’s guitar work and Wagner’s drumming both strike similar notes to Jimmy Page and John Bonham, respectively. What doesn’t get spoken of enough in Led Zeppelin conversations is the guttural nature of Plant’s voice, and vocalists from the previous bands can wail like Plant, but they never hit the lower end like he does. Kiszka hits the low end perfectly. You can hear the full-bodied nature in “A Change is Gonna Come” and the lower notes in “Safari Song.” There are fake Robert Plants in Led Zeppelin tribute bands that don’t sound this close. 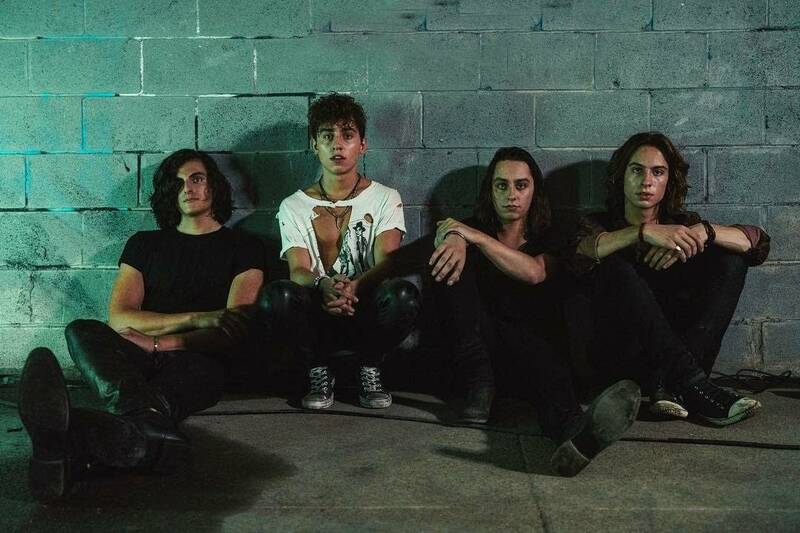 Here’s the problem, Greta Van Fleet bring nothing new to the table. Even though they’re young, talented musicians, there’s no way that they’ll bring rock back, as so many are fantasizing they will. Their new album shows a lot of promise, but it doesn’t seem like they’ll bring anything new to the table when it comes time for a sophomore album. A band can only ride their influences’ coattails for so long. The main appeal of GVF is that they’re a Zeppelin sound-alike, but their songs aren’t nearly as tight as Zeppelin’s. Their follow up will need some innovation otherwise it’ll suffer from the same problem’s something like Beach Slang’s sophomore album does. Even if GVF ditches their Zeppelin fetishism, they still won’t retain their staying power. As previously mentioned, the appeal of the band is the similarity to classic rock, and if the band changes too much, it’ll alienate so much of the band’s current fanbase. They’re something of a lose-lose band. All this being said, Greta Van Fleet are an easy band to root for. The Kiszka brothers are charming in interviews, and the songs are solid. Even if the songs are just Zeppelin knockoffs, it is nice to have media buzz circling a young, heavy band. The second album may flop, but this is a nice moment in the sun. This is a stupid article. This is a great young band bringing back true rock n roll. I’m a die hard Zeppelin fan and appreciate that finally, a new band is playing something other than hip hop, electronic or rap crap. Instead of being critical and chastising them for how they may have been influenced by the greatest band of all time, let’s celebrate their great talent and new music! Nailed it. Over rated. Sounds just like Led Zeppelin. I mean, the nerve of those kids saying they never noticed the similarities. Y’all completely copied them. The sound, the look. It was completely planned. Give me a break. I want to know who their rich parents are.